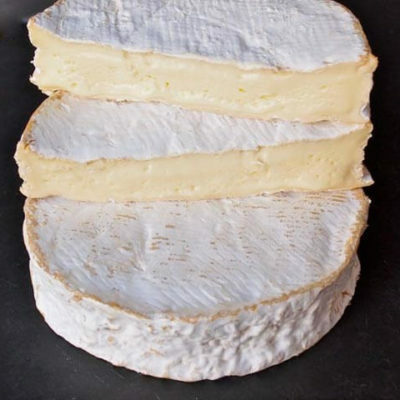 WHAT IT TASTES LIKE: Buttery, nutty and salty with a tangy apple finish and savoury notes of earthy mushrooms. 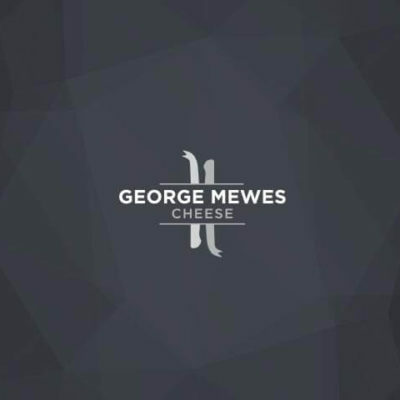 WHERE IT COMES FROM: This traditional artisan raw milk Camembert is brought to us by renowned French affineur Hervé Mons, who sources many of our French cheeses for us. 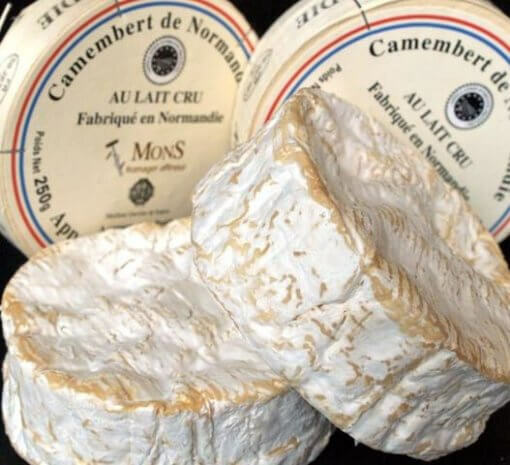 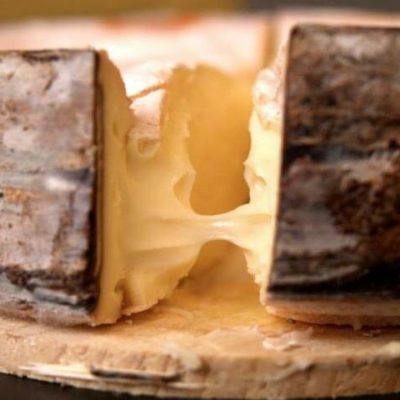 Camembert de Normandie has to be made from the whole raw milk (au lait cru) of Normandes cows under its designated status and is matured on wooden racks for a minimum of 21 days. 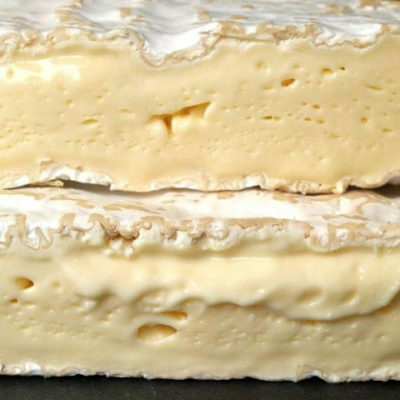 The thin bloomy rind conceals a light delicate ivory paste.